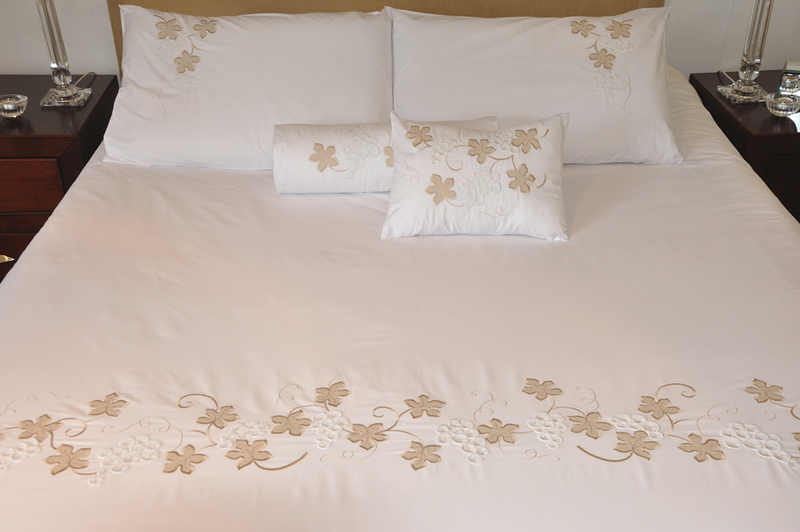 Duvet Cover: The duvet cover has running across the bottom of it a grape vine design. The vine leaves are made of stone appliqués and the grapes are made from self colour whipped cord. Pillow Cases: The pillow cases have the gape vine design in the top corner cascading down it. The duvet cover sets are available in white and cream. Copyright © 2019 Lyons Linens. Site by Elucid.